[dropcap]S[/dropcap]hopping online used to be an abstract concept until I moved to a small city, then it became a necessity. There isn’t much for high street fashion and beauty/skincare where I live, so about 85% of my closet is made up of online purchases. After a lot of trial and error and some wasted coins , I can say I have become somewhat of a pro at online shopping. 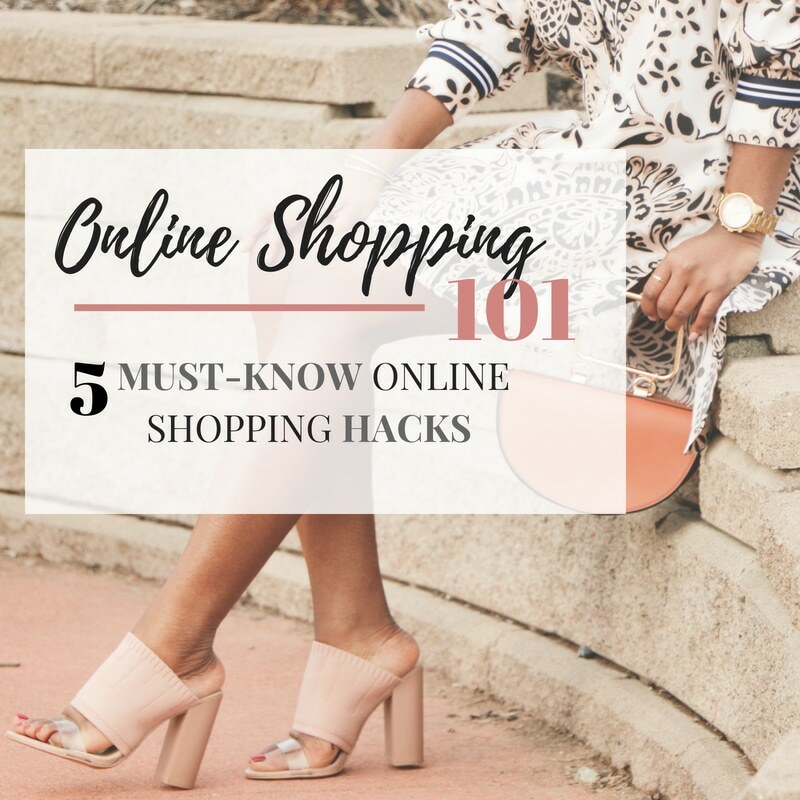 From identifying fraudulent sites to getting the best bargains and avoiding sizing mishaps, I’ve got you covered with these five must-know tips to make you a pro at online shopping! Safety is key. You don’t want to have your identity or money stolen all because of that cute dress you really wanted for a vacation. If you find yourself on a website that you are not familiar with, there two quick things to check for before proceeding with a transaction. First, check for a padlock sign at the end of the page URL (web address). Also, check that the URL starts with “https” rather than just an “http”. If the ‘s’ is present, that means the site is secure and all your information will be encrypted to avoid data theft. Before I make any purchases for the first time on a website, I check for their shipping, return and exchange policies. There is nothing worse than buying an outfit and not receiving it in time for the event it was intended for. You also want to google reviews from other people that have shopped there to give you an idea of what to expect in terms of product quality, customer service, and return/exchange options. Sites like ASOS and Forever 21 cant get overwhelming due to the abundance of options. If you don’t already, the key is to make use of the filter settings in order to save time and money (by avoiding impulse buys). You can narrow down options to suit exactly what you are interested in. I like to narrow down options by price range, sizing and style/ colour. There is no point shopping the dresses category for example, and wasting time looking at maternity dresses, plus size dresses or dresses that are way above my price range. Sizing is something that’s usually hit or miss when it comes to shopping online. There are some stores or specific items that are not made true to size. I’ve learned that rather than just settling for your normal size, it is best to do some research to help you make an educated guess. I like to check the size chart that’s typically on clothing websites to make sure I’m choosing the right size that matches my measurements. Also, pay attention to how the item fits the model given their body type and measurements. I am one of those people you’d call a penny pincher. Before I spend money on anything, I like to make sure I am getting the best possible deal. A lot of sites offer a discount for subscribing to their newsletter (make sure to take advantage of this with all your email addresses ). There’s also this trick where you log into your account on the website and fill up your shopping cart with all the items you’re interested in. After a few hours to a day of not paying for the items in your cart, many sites send an email with a coupon offering you a better price! This works sometimes with Foreve21, Missguided and Boohoo among others. For many other sites like Zara and Mango, all you need is some patience – prices typically drop towards the end of the season! I like to wait for the Winter sale in December, Spring/Summer sale in June and Black Friday sale in November for clothing hauls, to maximize savings! Do you do a lot of online shopping? What are some tricks you swear by? Lovely tips dear. Indeed, sizing can be really tricky when it comes to online shopping. It takes trial and error sometimes, so it’s good to invest a good time researching and knowing more about the brand’s and item’s sizing.